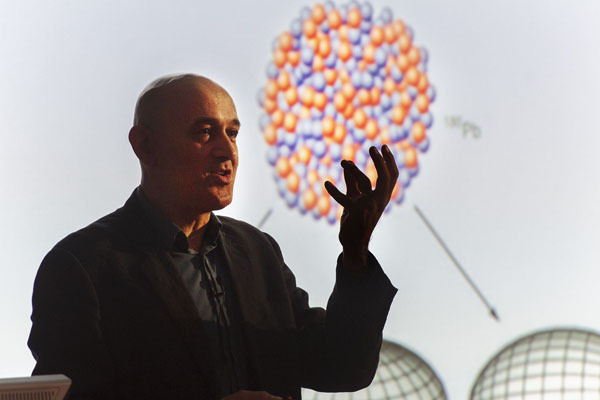 The New Scientist magazine held a series of lectures called Quantum World and headlining was professor of Physics, BBC TV and radio presenter Jim Al-Jhalili. The talks were not aimed at other professors of Physics but at the New Scientist audience who are “… intelligent, curious and want to know how things work and why…have disposable income available to spend on the things they like…[and stay] up to date with the latest technology.” I agree, I even got a lot of questions from audience members about why I was there and enquiries about my Nikon D4s with f2.8 70-200mm lens and they also asked how much it cost. But I am saving up for a Quantum Camera. They haven’t built a commercially available one, or indeed properly invented a viable one yet, so I have plenty of time. But it can snap things it cannot see! Instead of recording the light that bounces off the object, the camera makes an image from the photons that are paired through a quantum effect. Just think, I could stay at home under my duvet while also photographing a portrait in town! Now, can anyone tell me which way the connected pairs of light beams from my subject went, please? Next: Next post: March 2015. My new baby boy arrived!